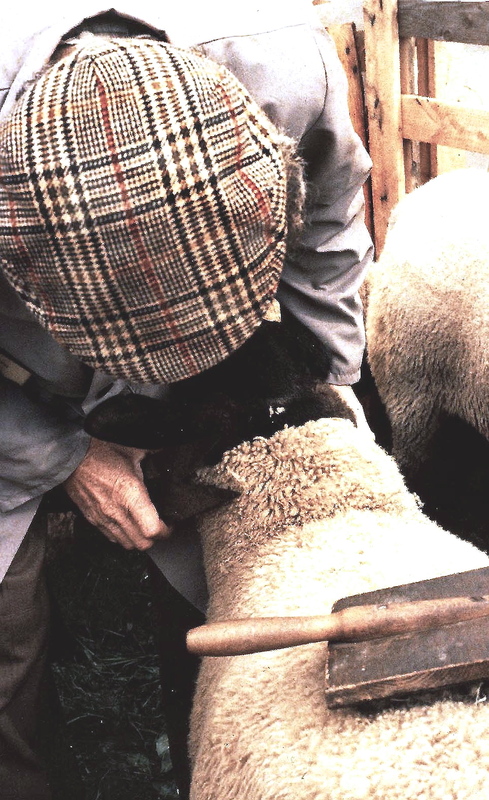 Just thought you might like to see how sheep are sheared – for those of you who’ve never seen it! Shearing is done very fast, and doesn’t hurt the sheep, if it’s done by an expert – and the fleece is rolled up to be processed and, hopefully sold. This video comes from a farm near Niagara Falls, New York, who actually specialise in Shetland Sheep. 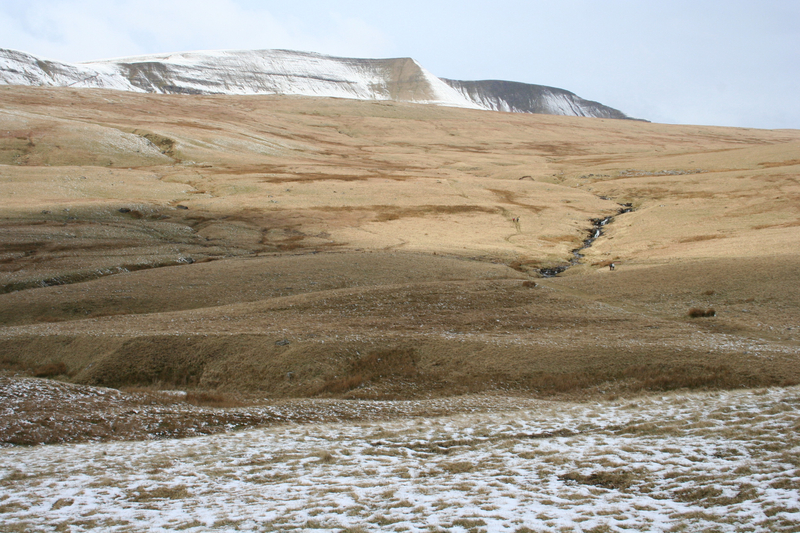 Shetland Sheep are the smallest of the British sheep breeds. They are bred for their wool, which is very soft and fine, a delight for handspinners. Shetland Sheep are very hardy, and easy to care for. They are ideal for families with smallchildren, handspinners and breeders. 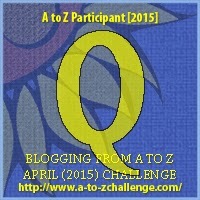 There is a long tradition of group quilting. Tales abound of neighbourly Quilt Circles who, from necessity, helped each other to make the everyday quilts for bedding, from scraps of material, often cut from old clothes. 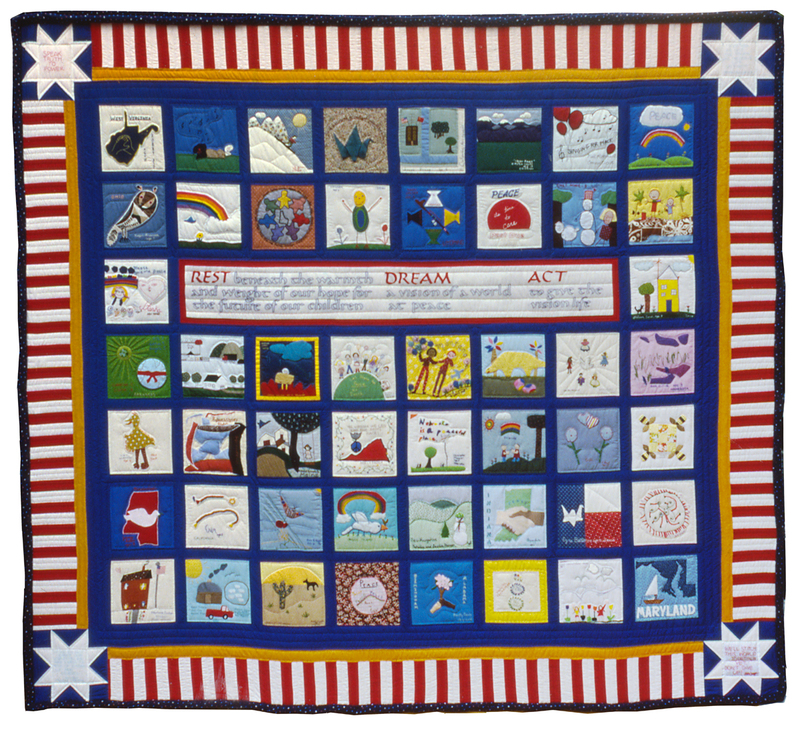 A more modern tradition has grown up within protest groups and others working for causes, to make group peace quilts, or protest quilts. I have picked a few out from my internet search, for you to have a look at. Perhaps they will inspire you to make something similar within your own group? 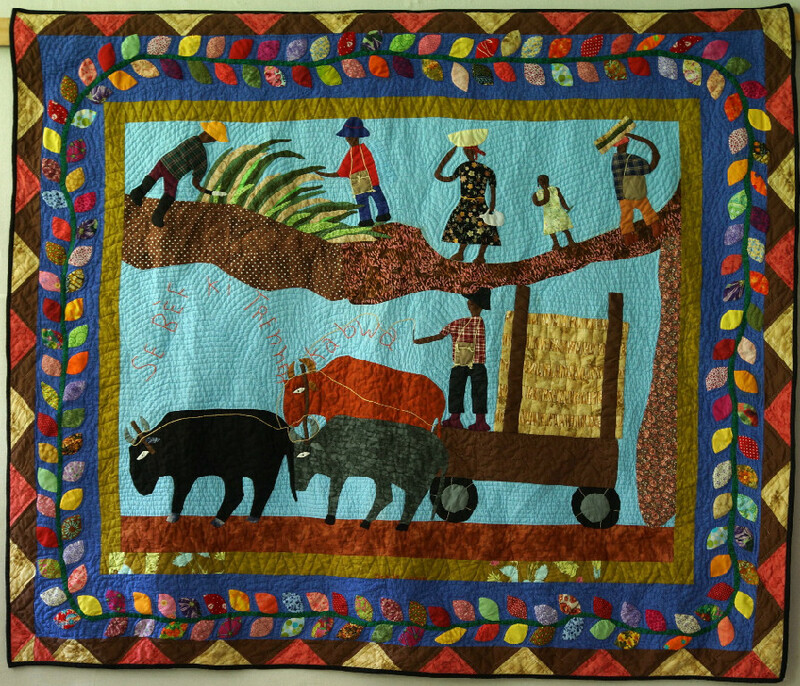 Quilt artist Denise Estavat tells the story of life in the village where she grew up. The men cut sugar cane and the oxen pull the cart to deliver it to market. Notice the intense echo quilting and refined details in embroidery. 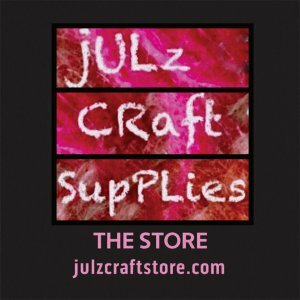 PEACE QUILTS is a non-profit, ecomonic development organisation relieving poverty in Haiti by establishing and supporting independent, member-owned, women’s sewing co-operatives ….We also market their one-of-a-kind art quilts and a product line of affordable quilted items……. 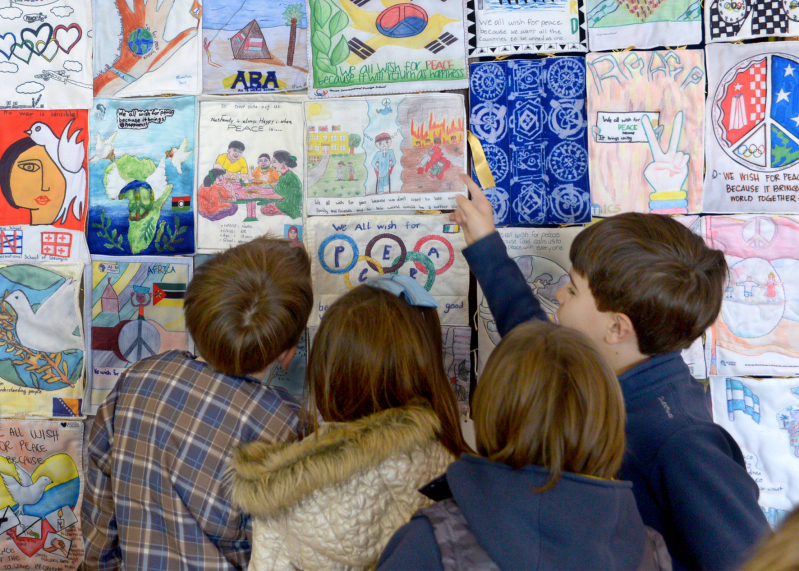 peacequilt.wordpress.com is the website of the Worldwide Schools’ International Peace Quilt competition – this is a picture from their gallery showing children from the International School of Curitiba Brazil who worked on their 2013 quilt. 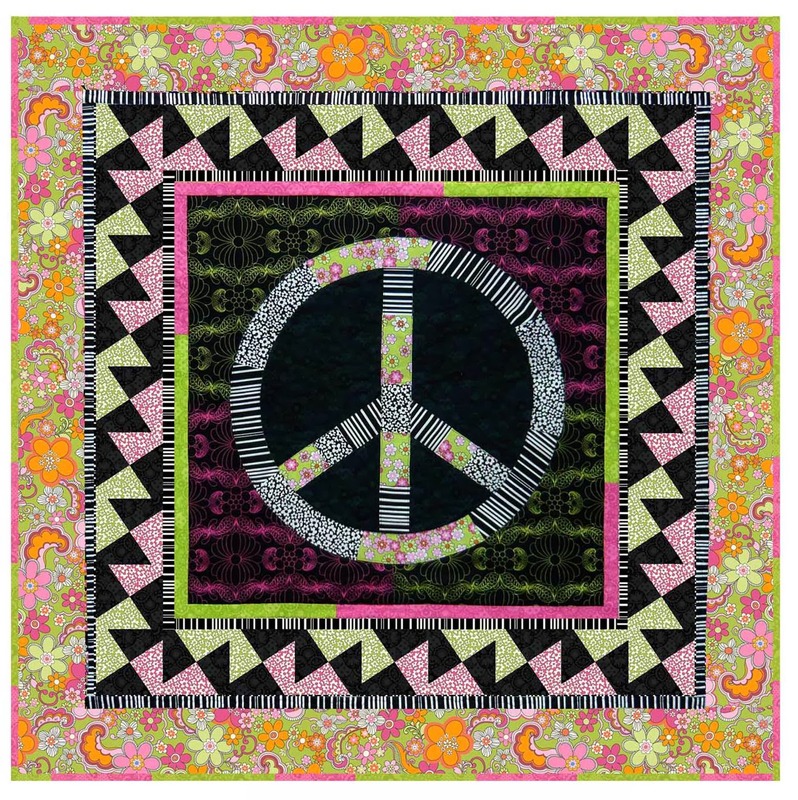 Lastly, this quilt which is based on the CND symbol, is on quiltinspiration.blogspot.co.uk, and the pattern, along with many others, is available free, for you to make for yourself.